As you may know the early style Central Sequential Fuel Injection (CSFI) or Spider units tend to fail overtime. This is mainly due to the poppet valves becoming plugged with carbon deposites. Some symtoms of a bad poppet valve are hard starting, due to a leaking poppet valve, misfire codes, rough idle, loss of power and performance and a noticable decrease in fuel economy. 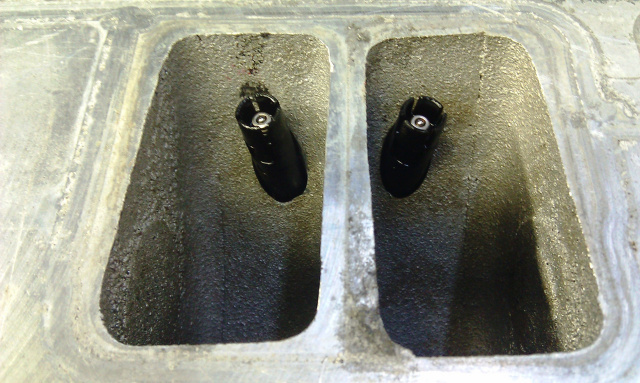 notice in the picture below how far the Poppet valve seats in the intake. The tip of the poppet valve conducts a large amount of heat allowing for carbon to build up on the tip of the valve. 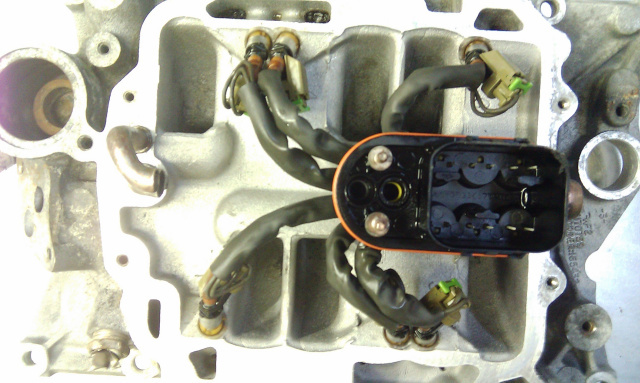 the next picture shows the new design installed in the same exact intake manifold. 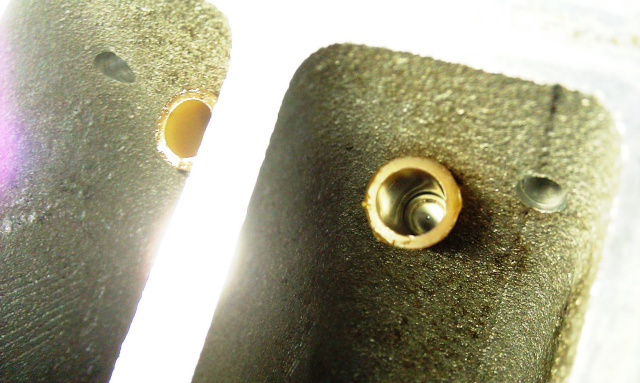 Notice how the nozzle of the injector is recessed away from the intake valve. 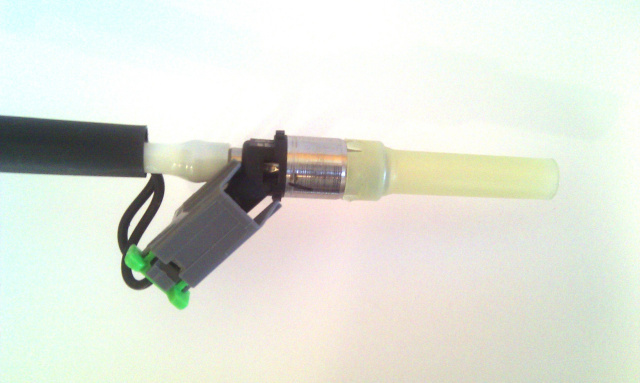 The plastic pintle tube acts as an insulator to the injector tip which decreases the amount of carbon that's able to develop on the end of the injector. GM has engineered a new Spider unit and it was used on 2002-2007 Vortec motors. This same unit can be installed on your 1996-2001 Vortec with no mods needed. The two photos below show the early style spider unit installed and the new MPFI spider installed on the same 4.3L Vortec intake. 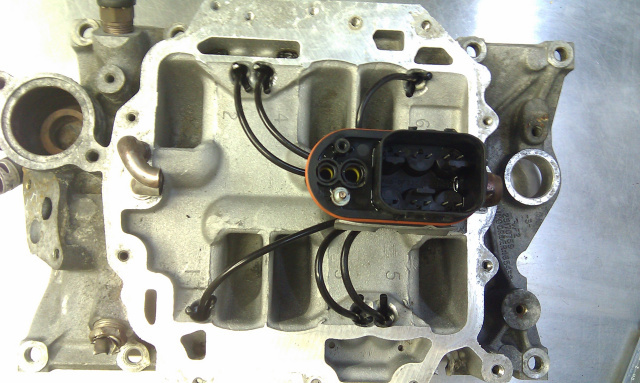 The this is an easy conversion and does not requre any special tools or modifications to your engine. This is a must have upgrade for any GM Vortec motor that incorperates SCPI injection. By performing this upgrade you will notice a smoother idle, better throttle response and all-around better performance. 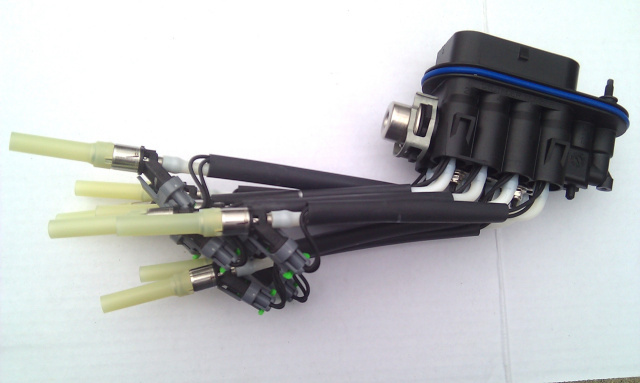 We offer Brand New MPFI Spider units at a much lower cost than any local GM dealer or aftermarket parts store. please click on one of the links below to purchase your New Delphi MPFI Spider unit today!